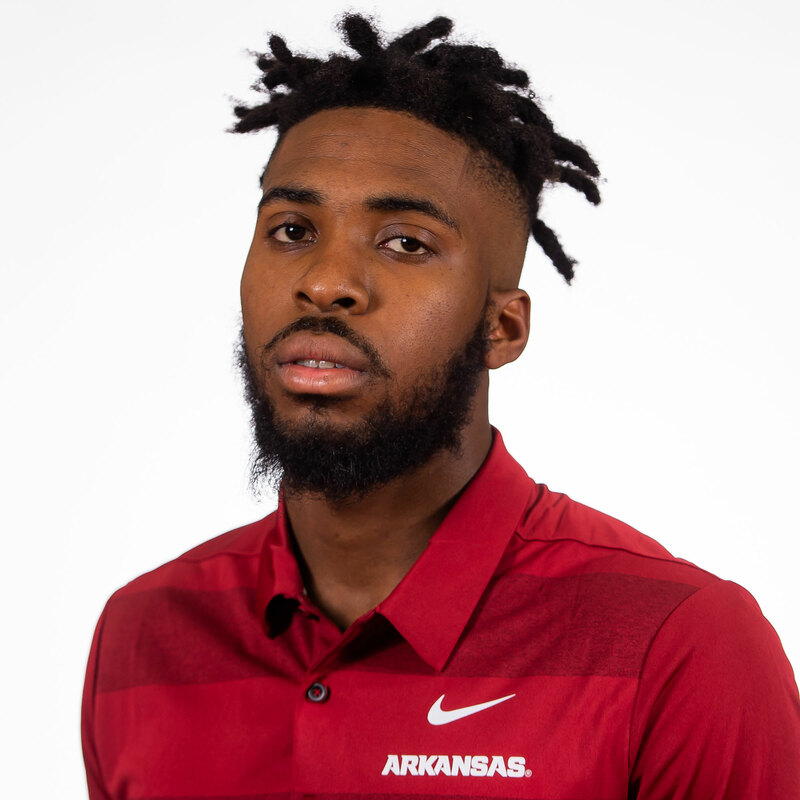 2018 (REDSHIRT-FRESHMAN): Played in all 12 games for the Razorbacks as a redshirt freshman, starting nine at the cornerback spot … Totaled 701 snaps, 606 in defensive coverage, according to Pro Football Focus, while also seeing time on Arkansas’ special teams units … Recorded 25 tackles, 21 solo, while also getting credit for seven pass breakups … Opened the season with one stop vs. Eastern Illinois before racking up four, all solo, the next week at Colorado State … Tallied two tackles in each of the next two games against North Texas and in the SEC opener at Auburn, then put together another four-tackle day vs. Texas A&M on Sept. 29 in Arlington … Hit a season-high five tackles, another all solo game, in Little Rock against Ole Miss … Notched two more multi-tackle performances in the home finale vs. LSU with three and on the road in the final game of the year at Missouri with two … Began the year with five-straight games with PFF tackling grades over 73.0, with a high of 79.1 at Colorado State … Earned his highest overall defensive grade from the outlet in the season finale, piecing together a mark of 70.2 behind a 76.2 tackling grade … Part of a defensive crew that racked up 882 total tackles over the course of the 2018 campaign. HIGH SCHOOL: Consensus three-star prospect by ESPN, Rivals, Scout and 247Sports … Rated the No. 53 cornerback in the class of 2017 and No. 17 corner in the South by Scout … ESPN tabbed him the No. 62 cornerback with a scout grade of 77 … Ranked the No. 89 cornerback and No. 113 player in the state of Florida by 247Sports Composite … Won the 2017 Brandon Flowers Defensive Player of the Year Award, which is named after his cousin who currently plays in the NFL for the Los Angeles Chargers … Earned an invite to the Blue-Grey All-American Bowl held in Jacksonville … Named to the Sun-Sentinel Super 11 prior to the season … Earned all-area recognition … Totaled 46 tackles and 21 pass breakups as a senior … Also had four receiving touchdowns … Helped lead American Heritage High School to the 2015 Florida 3A state championship game and a 10-3 record … Had eight interceptions and 45 tackles as a junior … Selected Arkansas over Florida, Louisville, Michigan State, Nebraska, North Carolina, Kentucky, West Virginia, Purdue, Maryland, Syracuse, Boston College, California and others. PERSONAL: Born on Dec. 3, 1997 … Son of Tamika and Central McClellion … Father, Central, played football at Ohio State … Undecided on a major … Cousin of Brandon Flowers, who played cornerback for the Kansas City Chiefs and San Diego Chargers.